Read the Top 25 MLB Players Under 25 for 2018 here. Welcome to the second annual installment of “Top 25 Under 25.” The premise and methodology are both fairly straightforward: I will consider a player’s body of work in the majors, the minors (to a lesser extent), his pedigree, and his potential for growth. There are a plethora of young talented players in baseball but not all of them are well-known, so I’ll look to highlight the best of those youngsters in this series. In order to be eligible for the list, a player has to have made at least one appearance in the big leagues (so no minors-only players; apologies to Vlad Guerrero Jr. and Eloy Jimenez). I will be evaluating players on a combination of their projected upside and how they have already performed in the major leagues. After each player, I will list their position, team, and age on Opening Day 2019, and, if they were on the list last year, their position. For reference, 10 of the 12 players that were on the list last year and are still eligible are in the top 25 again. The two others are honorable mentions. There were 10 guys that I picked out that just missed the top-25 cut for a plethora of reasons. I’ve listed them alphabetically below according to their position. These biceps help him generate power. He does not hit for a great average and strikes out a lot, but when he hits the ball, it goes quite far. In 2018, he had the 14th-highest HR/FB ratio (25%, that’s in the 96th percentile), just below Giancarlo Stanton and above guys like Mike Trout, Nelson Cruz, and Jesus Aguilar. The power is for real and if he develops his hit tool, watch out, America. Devers hit just .240/.298/.433 last season, but still earns a spot on the top 25 under 25 in no small part due to the fact that he’s just 22 years old. It feels like Devers has been around for a long while when the reality is that he’s a spring chicken—there are a handful of prospects on MLB Pipeline’s top 100 that are older than Devers and still have yet to make their MLB debut. Through 170 games, he’s triple-slashing .254/.311/.449 with 31 HR. He needs to learn how to hit left-handed pitching, but it appears that the Sox are willing to ride with the youngster. I fully expect him to show up higher on this list prior to the start of 2020. That was 102 MPH! Nuts! In addition to the velocity, Hicks threw 77.2 innings of 3.59 ERA ball. He struck out 8.1 batters per nine innings. The walk rate (5.2 per nine innings in 2018) could be improved, but Hicks will be a force to be reckoned with for years to come in this league. Last year, I opened my Moncada sentence with this:It’s possible that I am ranking Moncada too high because I have had him on my fantasy team since he signed with the Red Sox in March of 2015. It’s possible that I am ranking Moncada too high because I have had him on my fantasy team since he signed with the Red Sox in March of 2015. It’s possible that I am ranking Moncada too high because I have had him on my fantasy team since he signed with the Red Sox in March of 2015. .231/.338/.412 with 8 HR in 54 games in 2017, he .235/.315/.400 with 17 HR and an MLB-high 217 strikeouts in 2018. I still believe in the potential and he’s still just 23 years old, but Moncada no longer gets the benefit of the doubt from me. Osuna was shipped to Houston halfway through last season while he was serving his 75-game suspension for domestic violence. That alone is not the reason he dropped eight spots but the missed time is certainly part of it. The fact of the matter is that Osuna is a really good pitcher; he has a 2.78 ERA in 245.2 relief innings since debuting with the Blue Jays in 2015. He has struck out 28.4% of the batters to face him while walking hitters at a 4.5% clip. He has also amassed 116 saves over the past four years and, if he keeps this rate up for the next decade and change (which he probably won’t, but a man can dream), he has a shot at breaking Mo’s all-time saves record. Dahl sneaks on to the list for the first time just four days before his 25th birthday. The biggest reason that he isn’t higher is that he has only played 140 games in the major leagues over the past two seasons partly due to injuries and partly due to a crowded Rockies outfield. In that time, though, he has made a significant offensive impact, slashing .293/.341/.518 with 23 home runs and 10 swipes. Now that Dahl has an everyday spot in the Rockies lineup, expect him to make a name for himself as a power-speed outfielder hitting in the most favorable park in the majors. There’s gotta be something in the water that makes good, young relief pitchers make terrible decisions. The aforementioned Roberto Osuna was suspended for almost half the season for a domestic violence allegation. Josh Hader was given a lot of heat for some racist, sexist, and homophobic tweets that were sent out years ago when he was a teenager. Still, a 16-18 year old kid should know that bigotry in any form is not okay. Regardless, Hader is still an excellent pitcher and that didn’t change even after he underwent league-mandated sensitivity training. For the second straight season in 2018, Hader pitched to an ERA below 2.50 (2.43) while striking out more than a batter per inning. His 15.8 K/9 was second among all pitchers with at least 50 IP behind only Aroldis Chapman and ahead of guys like Dellin Betances, Edwin Diaz, and Craig Kimbrel. Hader also allowed fewer than one hit every two innings (4.0 H/9) and put up an ERA+ of 168, meaning he was 68% better than the league-average reliever. Hader is for real and, so long as he doesn’t get back on Twitter, here to stay for a while. Unbelievable throw from Ramon Laureano.91 mph.321 feet. This is really all you need to see in order to understand why I love Laureano. He threw a guy out tagging up at first base from the warning track. The warning track. That’s 321 feet. Laureano figures to slot into center field every day for the Athletics and hit near the top of the lineup. Perhaps the most overlooked part of his skillset is that he doesn’t just do it with the glove; the 24-year-old Dominican slashed .288/.358/.474 with 5 long balls and 7 steals in just 48 games in 2018. Laureano makes an impact with the bat, with the glove, and on the basepaths. It’s unfortunate he plays for the Athletics not because the team will not be competitive—it will—but because there tends to be an East Coast bias, meaning Laureano will likely continue to be criminally underrated. Anybody who knows anything knows that I love players who play great defense and it’s a plus when they can mash at the plate. That’s why Kevin Kiermaier and Billy Hamilton are among my favorite players but I like Jim Edmonds and Andruw Jones even more because they could also hold their own with the bat. Harrison Bader seems likely, like Laureano, to fall closer to the Edmonds/Jones end of the spectrum than the Kiermaier/Hamilton end. So basically, he’s really good in the outfield in addition to being able to make an impact at the dish. 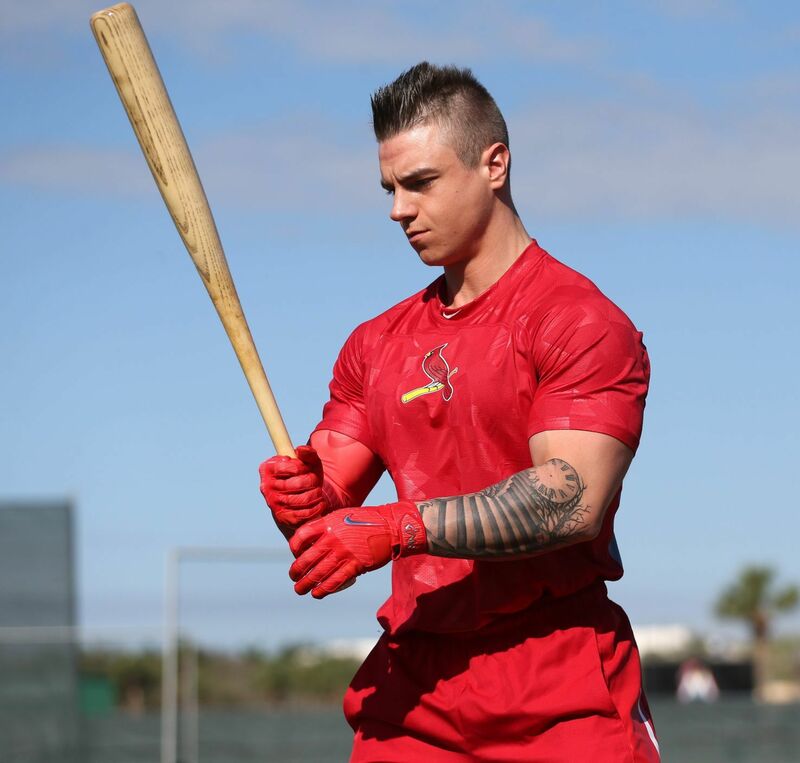 I talked about Bader in my “Players to Watch in 2019” article, so if you want to read more about this stud-in-the-making, click there. Marquez strikes me as a guy who is always going to underperform in comparison to his peripherals, mostly because he plays in the pitcher’s nightmare that is Coors Field. Even still, he threw 196 innings last year, compiling a 3.77 ERA, 1.20 WHIP, and 10.6 K/9. And he did it while throwing around half of his innings in Coors Field. When he was away from home, his ERA was actually under 3, indicating that Marquez may be even better than his numbers from last season. I’ve learned to never trust a pitcher in Coors Field but the fact that Marquez has appeared in this article two years running bodes well for his future prospects. The fact that Andujar is one of two Yankees on this list (the Mets don’t have anybody…) physically pains me because, as the frequent readers of my blog know, I detest the Yankees. You can thank their fans for that. Regardless of my personal bias, though, it is an undeniable fact that Andujar simply mashed last year. After a five-game 2017 cup of coffee in which he triple-slashed an insane .571/.625/.857 with 4 RBI, 1 walk, and 0 strikeouts, the 23-year-old third baseman picked up right where he left off. In 149 contests during the 2018 season, Andujar slashed .297/.328/.527 with 27 dingers, earning him a second-place finish in AL Rookie of the Year voting. His 4.1% walk rate could use some improvement, but if he’s going to OPS over .850, I’ll take the low walk rate. After slugging 24 homers in 59 games in 2017, Olson was an ironman in 2018, playing in every single contest for the Athletics. He triple-slashed .247/.335/.453 but wasn’t able to hit home runs at the same pace as 2017, smacking “only” 29 over the course of the season. Unfortunately, Olson will miss the start of the season after fracturing his hamate bone during the Japan series earlier this month. Expect him to be back with a vengeance when he’s able to return to the field. I’m going to get a lot of flak from one of my buddies who is a Jack Flaherty apologist since they played high school baseball at the same school. I don’t blame him; Flaherty was a savage last year. Over 151 innings in his rookie season, Flaherty posted a 3.34 ERA, 1.11 WHIP, and 10.8 K/9. The only pitchers 25 years old or younger that also threw 150 innings and had a better ERA than Flaherty last year are also pretty good: Blake Snell, Aaron Nola, Kyle Freeland, and Noah Syndergaard. I’d classify that as good company. Flaherty has laid the groundwork for his transformation to an ace in 2019. I originally had Berrios up near Roberto Osuna but when I looked at his numbers, I realized I did not quite understand how good Berrios has been over the past two seasons. He has posted back-to-back seasons of sub-3.90 ERA ball and, for the first time in his young career in 2018, struck out more than a batter per inning. He has also drastically improved his walk rate each season since debuting, cutting it all the way down to 2.9 BB/9 last season. And to top it all off, Berrios led baseball in complete games in 2018, throwing two. It’s unfortunate that Berrios runs out of eligibility for this list after this season because I have a feeling we would be seeing him a lot higher if he could make an appearance in 2020. Corey Seager is another rock of consistency, which is incredibly impressive considering his age. So you can blame me for his injury last year. Still, the fact that he hasn’t played a game since last April and lands just outside the top 10 is a testament to how good he has been when he’s been on the field. Over 355 MLB contests, Seager has slashed .302/.372/.494 with 54 home runs and respectable defense. He’s not the flashiest guy on this list, but he gets the job done time and time again, and there’s something to be said for that. Bellinger checks in at the back end of the top 10 for the second straight season. After putting on a ridiculous power display in 2017 with 39 home runs and a .581 slugging percentage, Bellinger took a step backward in 2018. In 30 more games, he launched 14 fewer homers, walked just five additional times, and had his slugging percentage cut by over 100 points. That is not to say that the versatile youngster is toast—his strikeout rate and line drive rate are trending in the right direction—but until we know whether .933 OPS Bellinger or .814 OPS Bellinger is the true Bellinger, I’ll have trouble moving up. I have a feeling he will land somewhere in the middle this season. Mike Trout (2x), Ozzie Albies, Ronald Acuna, Cody Bellinger, Giancarlo Stanton, Justin Upton, Miguel Cabrera, Albert Pujols, Andruw Jones, Alex Rodriguez, Juan Gonzalez. Some pretty good company, right? On that list alone, there are four surefire future Hall of Famers (Trout, Cabrera, Pujols, A-Rod), another that should be in (Jones), and a handful of active MLB studs. Torres is the next young juggernaut in baseball and the fact that he is just 22 years old means that he will be mashing in pinstripes for the next decade at the very least. After hitting just six home runs in 57 games for the Braves in 2017, Albies showed off his power in 2018, smacking 24 long balls in 158 games. This is coming from the same guy who hit just 16 homers over four entire seasons in the minor leagues prior to his MLB debut. His overall numbers suffered a little in 2018—each leg of his .261/.305/.452 got worse from 2017 and his walk and strikeout rates are trending in the wrong direction—but that does not mean that he isn’t still a complete stud. The Braves should be an exciting young team to watch over the next half decade and Albies will be slotting in at the top of that lineup. Correa showed up at #1 on the list last season and falls to the bottom end of the top-10 prior to 2019. Not a whole lot has changed in terms of his skillset or abilities, but he has shown a lack of the best ability: availability. Over the past two seasons, Correa has missed 105 games and it’s really difficult to move him any higher than this given that he hasn’t shown that he can stay on the field. You can make the case that a healthy Correa is one of the best players in baseball but that health has become a question mark and, for that reason, he checks in at #7. Walker Buehler went from watching the Dodgers in the 2017 World Series with his sister to starting Game Three of the World Series in 2018. It was well-deserved; over 137.1 innings in 2018, Buehler posted a ridiculous 2.62 ERA with a 4.1 K/BB ratio. He struck out 9.9 batters and walked just 2.4 batters per nine innings, had a WHIP under 1 (0.96), and according to ERA-, was the 11th-best pitcher in baseball. I have no reservations about anointing Buehler the best pitcher under 25 years of age in baseball right now. He pitches. He hits. He gets Tommy John surgery. Okay, maybe the last part of that isn’t a plus, but it happened. Even still, Ohtani hit 22 HR in 104 games as a 23-year-old and also threw 51.2 innings with a 3.31 ERA, 1.16 WHIP, and 11.0 K/9. The only reason he isn’t higher after winning AL Rookie of the Year is because I’m not quite sure how he’s going to bounce back from the surgery. He has to rehab as both a hitter and a pitcher and there’s no telling what is going to happen once he gets back on the bump after what will likely be more than a season without throwing to a major league hitter. Still, Ohtani is expected to DH while he rehabs his arm, so we might get to see the Japanese Babe Ruth in action this season after all. That’s the entire list. Soto posted the best OPS for a teenager in the history of baseball in 2018 while also demonstrating elite plate discipline. He sported a 16% walk rate, 20% strikeout rate, and swung at just 21.9% of pitches outside the zone. That 21.9% O-Swing% was 34th of 448 players with at least 100 plate appearances last year (92nd percentile) and ranked just behind some guy named Mike Trout (21.8%). If you asked me who I would take to start building a franchise today, Mike Trout would be the answer, but because of his age and his prowess with the bat, Soto is a close second. Benintendi gave Red Sox fans a taste of what he is capable of by posting a .295/.359/.476 triple-slash with 2 homers in 34 games at the end of 2016. In 2017 he became the everyday left fielder for the Red Sox and triple-slashed .271/.352/.424 with 20 HR, 20 steals, and a 10.6% walk rate. Then, he took it to a whole new level in 2018. Benintendi triple-slashed .290/.366/.465 with 16 homers and 21 steals and tied for 27th in the big leagues qualified hitters with a 0.63 walk-to-strikeout ratio. In addition to being one of the most talented youngsters in the majors, the 24-year-old is in the conversation for best hair of any ballplayer, which is the most important of many reasons that Benintendi checks in at #3. The Ronald, as my brother likes to call him, showed the world why he was ranked as the #1 prospect prior to 2018 by triple-slashing .293/.366/.552 with 26 home runs and 16 steals. He also struck out 123 times, but that’s literally the only thing that he did poorly last season. Acuña would have run away with the NL Rookie of the Year award if not for Juan Soto, who at least tried to keep it close. Acuña put up 4.1 rWAR (3.7 fWAR) last season and is going to slot right back into the top third of the Braves lineup this year. I’m looking forward to an exciting career from the young Venezuelan. Bregman is a flat-out stud and the second Astro in as many years to top this list. The #2 overall pick to the Astros out of LSU in 2015, Bregman has done nothing but hit since turning pro. It took him just 100 games to ascend to the major leagues, and once he got there, he made life look easy. Prior to 2018, Bregman’s career triple-slash was .279/.342/.476. He turned it on big-time in 2018, triple-slashing .286/.394/.532 with 31 HR. He also walked more than he struck out, which only four other players did: Jose Ramirez, Carlos Santana, Joey Votto, and Jesse Winker. All of those guys are pretty good. This will be Bregman’s last appearance on this list because he turns 25 on Saturday, but I must give credit where it is due. Bregman is not only one of the best players under 25, but one of the best players in all of baseball. Like what you read? Make sure to click on the main menu (in the top right corner) and enter your email in the “follow” box. It’s free!